Helping families in remote places rebuild their homes and their lives. 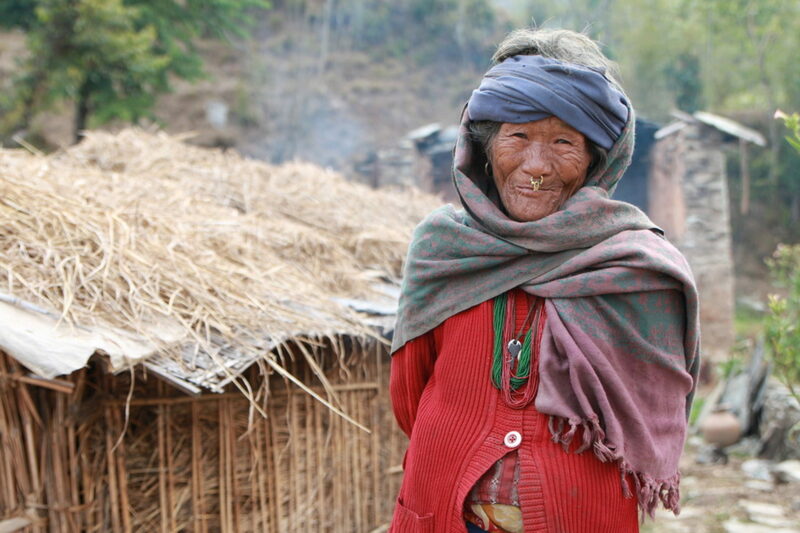 Many people live in very hard-to-reach places among Nepal’s mountainous, rugged terrain. In times of need, remote communities are more vulnerable and difficult to access. So when two massive earthquakes hit the country in 2015, toppling buildings and destroying infrastructure, hundreds of thousands of lives were devastated and more than 600,000 homes were damaged or destroyed. While the rebuilding process has been underway since the earthquakes occurred, many people in remote communities still need help to rebuild their homes and their lives after losing so much in the disaster. 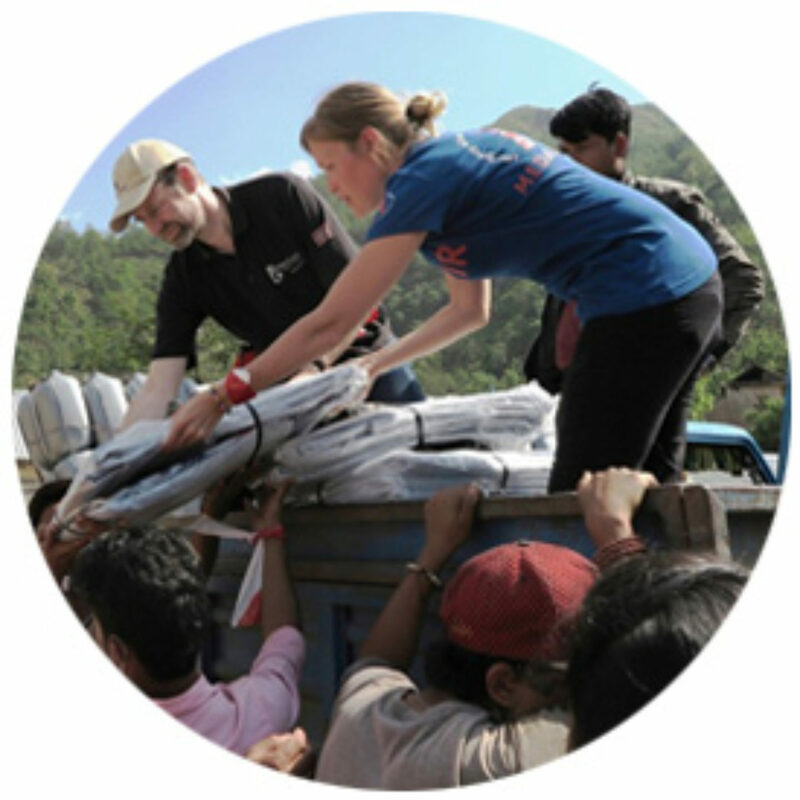 Medair was on the ground in Nepal within 48 hours of the first earthquake. Together with our local partner, Mission East, the team provided families with crucial household supplies to provide immediate shelter relief and to prevent disease. We also provided toolkits to enable safe and efficient demolition and debris clearing. 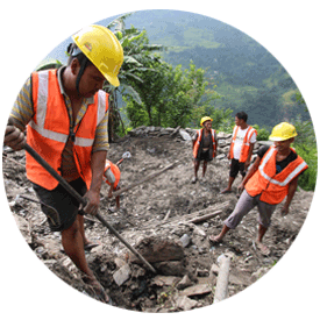 After the earthquakes, Medair financially supported vulnerable earthquake survivors for their work in demolition and debris clearing in their villages through a cash-for-work project. 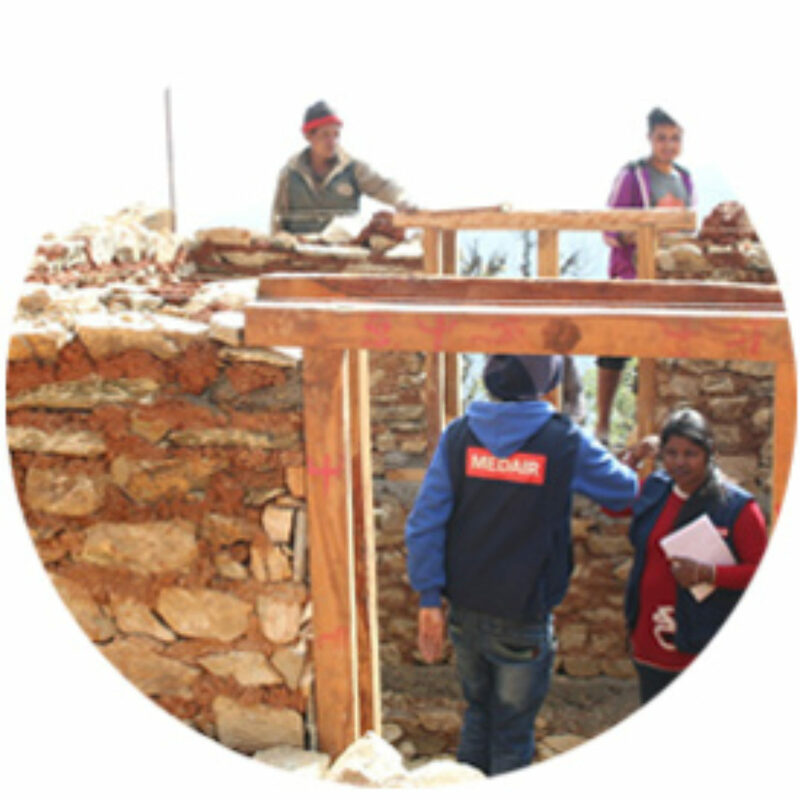 Medair, in collaboration with local implementation partner Community Development Society, provides coordination, training, logistical support and technical assistance to devastated villages in mountainous Ramechhap district as they continue to rebuild. We help families safely remove rubble, and build back safer houses. As there is a lack of masons who can build according to the earthquake-resilient techniques, we train and certify masons in earthquake-resilient building techniques and also provide training and consultation on Disaster Risk Reduction techniques to help communities rebuild safer and stronger houses.